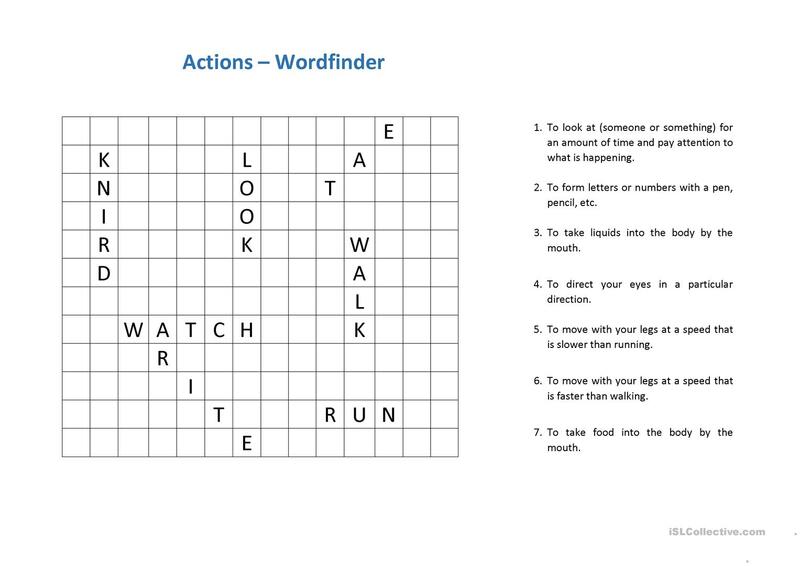 This is a wordfinder that you can download and personalize as you want. It´s for elementary students since the verbs are really basic. Hope you like it! This printable, downloadable handout was created for high school students, elementary school students and adults at Beginner (pre-A1), Elementary (A1) and Pre-intermediate (A2) level. It is great for teaching Verbs: Action verbs in English, and can be used for improving your class' Spelling skills. It features the vocabulary topic of Actions. The exercises come with a key. pierinastagnaro is from/lives in and has been a member of iSLCollective since 2014-07-15 22:14:14. pierinastagnaro last logged in on 2019-04-22 18:07:48, and has shared 1 resources on iSLCollective so far.